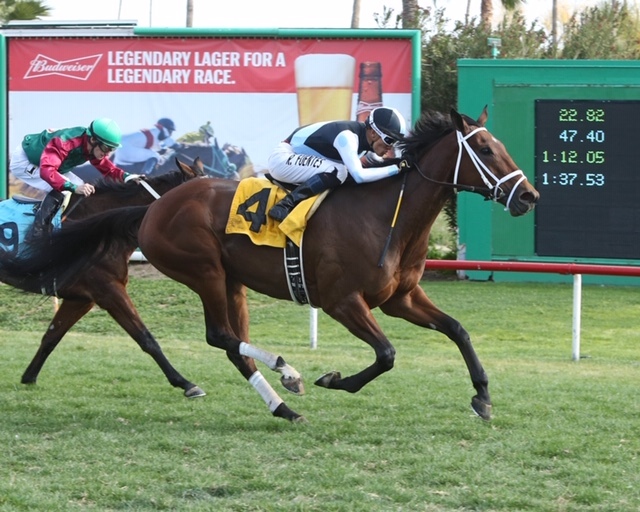 Southern California invaders Michael McCarthy, Ruben Fuentes, and Eclipse Thoroughbred Partners swept the pair of stakes at Turf Paradise Jan. 12, highlighted by a dominant effort from Ohio (below) in the $75,000 Cotton Fitzsimmons Mile Handicap. 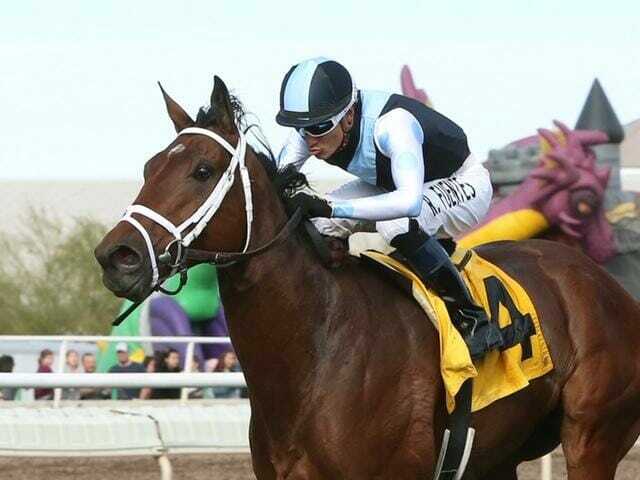 Trained by McCarthy, ridden by Fuentes, and owned by Eclipse and Bruce Treitman, the Brazilian-bred Elusive Quality gelding powered away in the stretch to earn his first stateside stakes victory by 6 1/2 lengths. 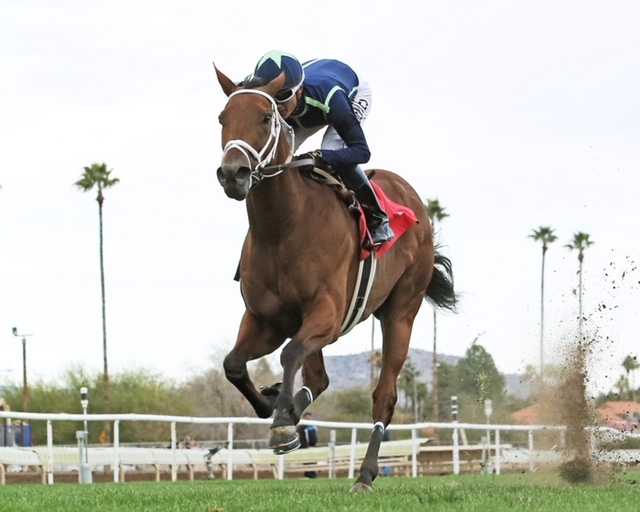 A $50,000 claim by McCarthy June 10 at Santa Anita Park, Ohio finished the one-mile test in 1:35.87 on the firm Turf Paradise grass. Since the claim, Ohio also placed in the City of Hope Mile Stakes (G2T) at Santa Anita. Thegloryisallmine finished second at 59-1, three-quarters of a length ahead of Gato Guapo in third. Another California shipper, grade 2 winner Blackjackcat, got a good trip but began to back up in the second turn and finished sixth, 10 1/2 lengths behind the winner. Earlier on the Turf Paradise card, Eclipse and TNIP Racing’s Impasse (above) took the non-black-type Glendale Handicap by 1 1/4 lengths. Under Fuentes, the Quality Road mare closed from eighth to win the 1 1/16-mile turf test in a final time of 1:43.58.